The SL (Sports meets Luxury) series was launched late last year, and is a result of what Four Winns calls "cross-stream architecture" – the morphing of various boat styles/designs into a multi-purpose bowrider. There are three in the series – the SL222 (LOA 6.88m), SL242 (7.44m) and SL262 (8.08m). 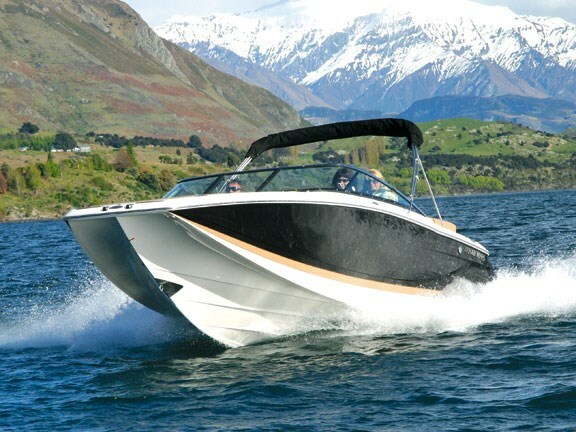 A 222 and 242 recently arrived in New Zealand (imported by Wanaka’s Torque Marine) and both were quickly snapped up. There are plenty of similarities between the two models. 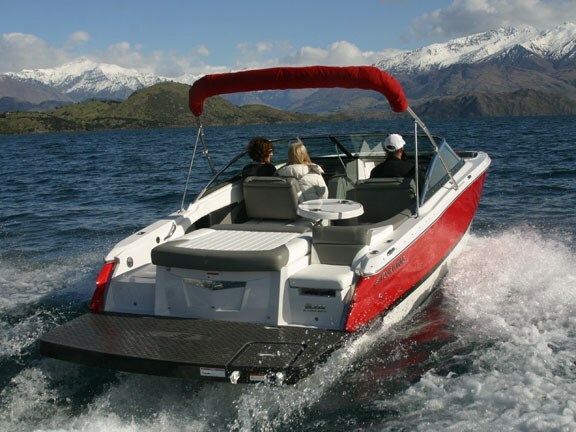 Both, for example, are fitted with a 320hp Volvo Penta 5.7-litre GXi petrol V8 mated to a duo-prop stern leg. 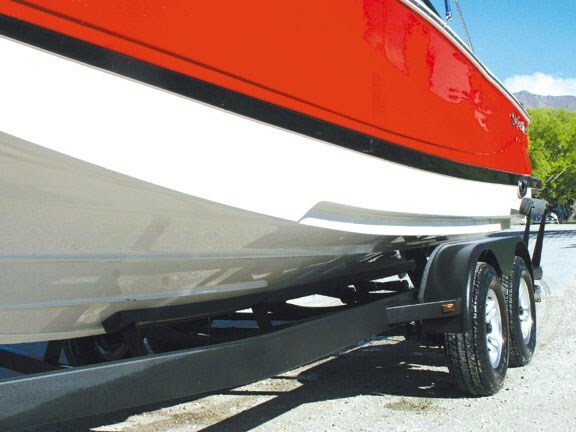 Both boats also feature a split-chine hull – a new innovation for the SL series. Four Winns boats are renowned for their signature Stable Vee hull, designed for confident cornering, easy planing and great stability at rest. The combination of its shallow draft and a raised stern leg affords access to more areas. The SL’s split chine hull’s an extension of the Stable Vee design, aimed at producing sport-friendly wakes without forcing a bow-up attitude – the attraction for those who like somersaulting behind boats. The interiors are plush, sumptuous and svelte – superbly appointed and supremely practical. Beverage holders, lockers, squabs, and tables are perfectly placed, they all look great and work even better. Each boat carries carefully-coordinated decor – chrome, rich timber accents, thick carpets and well-padded, double-stitched upholstery. When you order your SL, you get to choose its colour scheme. There are six gel coat colours, with a range of complementary shades for the upholstery. You can even ask for the scheme to be carried through to the trailer. 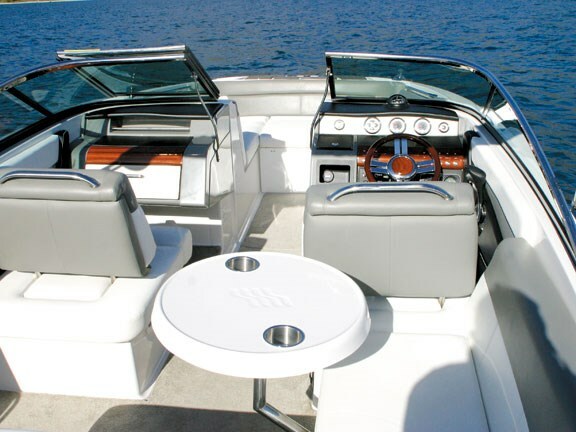 The SL boats’ open layout makes it perfect for entertaining. Even the smaller 222 will carry 8-10 people in comfort. For purists, the slightly squared bow might look a little odd, but it creates enormous room in the U-shaped forward lounge, seating five or six. Infill squabs transform the area into a large, enclosed sunbed. The aft lounge is equally spacious. 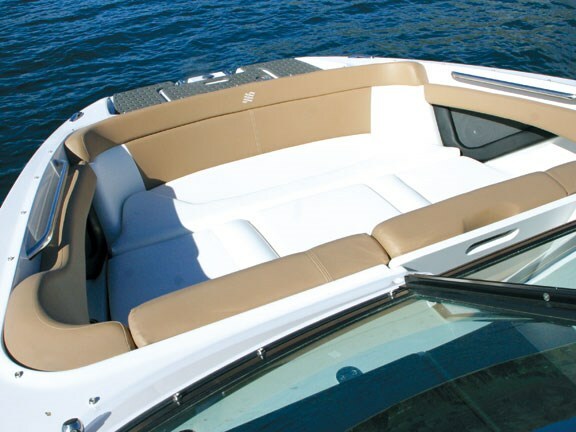 A filler cushion system for the transom walkthrough creates wrap-around bench seating in the aft cockpit, enhanced by the reversible backrests on the helm and passenger seats. Highlights include the fold-out boarding ladders (bow and stern) stowed in discreet lockers. And, the SL’s swim platform is wide, deep and spacious and covered with quality rubber matting for grip. I also liked the glove box that’s actually a drawer – far more useful for stowing personal items. And the fold-out wet bar on the 242 – complete with sink and faucet. And the deep, two-metre locker in the cockpit sole, perfect for stowing boards and skis. 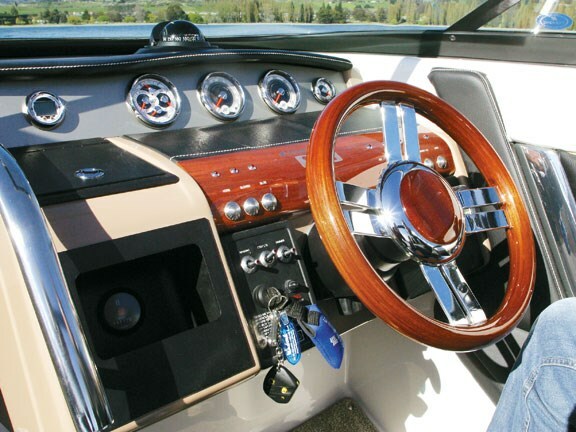 My favourite feature (on both boats) is the cockpit heater system. It delivers warm air from the engine bay. You extract an extendible, flexible coil and feed it into the top of your wet suit. The SL242 is equipped with a Porta Potti in a dedicated room on the port side, equipped with a tilt-open roof (with built-in curtains for privacy). The SL’s have a neat feature called Quick and Quiet. In standard (quiet) operation, the V8’s exhaust gases are channeled underwater through the prop hub. 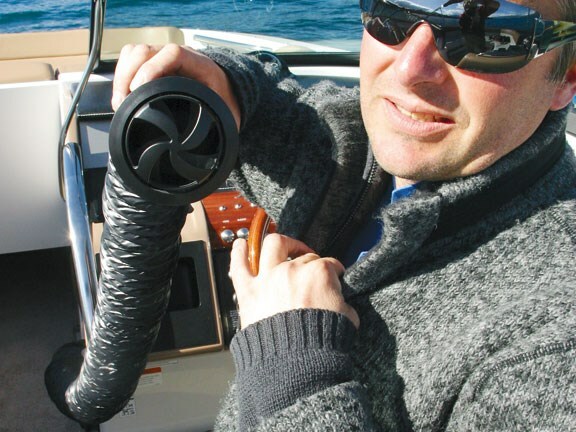 But, flick a switch on the dash and a pair of butterfly valves in the exhausts re-route the gases (and the beat) through outlets (above water) on either side of the boat. The freer breathing also gives the V8 a bit more Quick. 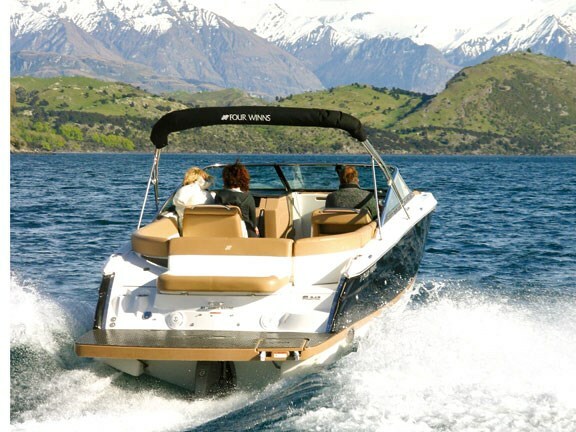 As with all Four Winns, options abound, and if you’re really into tow sports and want to take full advantage of the SL’s wake-making attributes, you could ask for an arch with mandatory speakers, lights and board racks. The boat handles beautifully, and the Volvo V8 packs a healthy punch when you want to make things interesting. 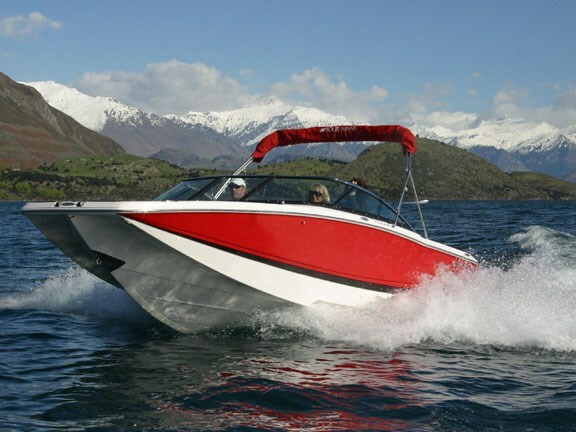 Read an in-depth review of these boats in the November issue of Trade-A-Boat magazine, on sale now. See Four Winns boats for sale here.